With the growing recognition that student learning and well-being is closely tied to the built environment, school districts are under pressure to address gaps in current building features and operations. 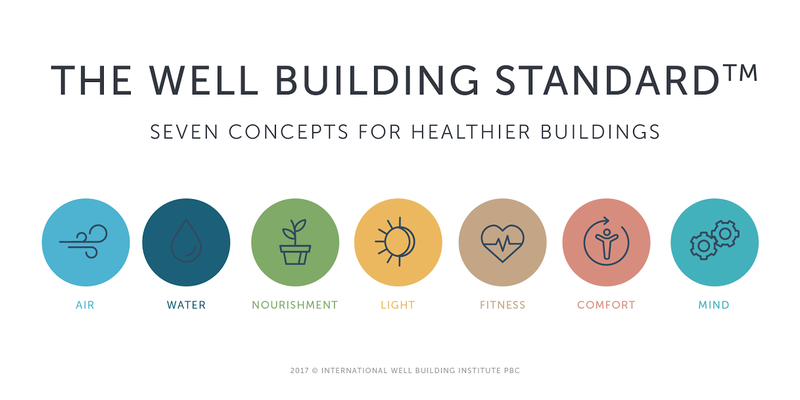 The WELL Building Standard is the first-of-its-kind standard to focus solely on elevating human health--and provides a framework for facilities leaders to advance the growing movement for healthier schools and students. Administered by the International Well Building Institute (IWBI), WELL Certification is currently being piloted for educational facilities. At the K12 Facilities Forum, Karen Quintana, VP for Technical Solutions at the IWBI, discussed the holistic, human-centered approach and how school facilities leaders can pioneer positive change by harnessing WELL’s design, maintenance, and policy strategies. Modern Americans are essentially an indoor species, with research revealing that we spend an astounding 90% of our time contained by four walls and a roof. So it should come as little surprise that buildings have a profound impact on our health and happiness and that making our interior spaces healthier can enhance the performance of a building’s occupants. According to the World Health Organization, the true definition of “health” goes beyond simply the absence of disease. The CDC goes even further, asserting that it's not genetics or medical care that plays the biggest factor in how healthy we are, but social determinants including our lifestyle and environments. The idea of a building contributing to improved well-being--rather than simply being neutral or benign--is a game-changer. It’s one that came about after an intensive five-year period of research and peer review that united the silos of building science, health science, and business economics. The result was a data-driven focus on 7 core concepts relevant to health: air, water, nourishment, light, fitness, comfort, and mind. WELL is a comprehensive set of strategies, and the focus on designing around human health differentiates the standard from energy-efficiency focused certifications like LEED and CHPS. Quintana noted that it’s important to remember that children’s developing bodies are not just miniature adult bodies--they are easily susceptible to stressors that influence their immune system and ability to learn. Air pollution isn’t just an outdoor problem--in fact, indoor air can often be two to five times more polluted due to poor ventilation, mold, dust, or chemicals from cleaning products. 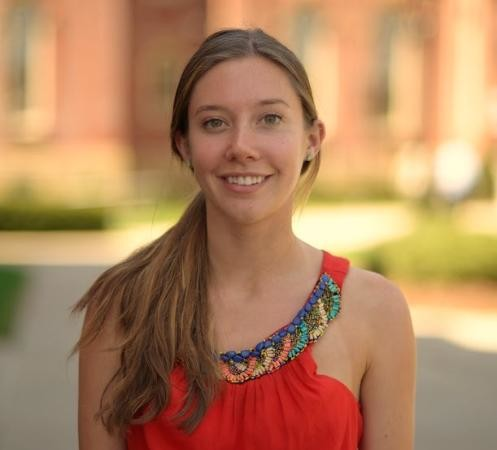 “Students’ developing bodies are more susceptible to environmental exposures, and failure to respond properly to indoor air quality problems can increase long and short-term health problems,” Quintana said. Because kids breathe more, eat more food, and drink more liquid in proportion to their body weight than adults, air quality should be a prime concern for schools. WELL takes a multi-faceted approach to air quality, from campus smoking bans, humidity control, direct source ventilation, and more. While LEED focuses on how much water a building is using, WELL’s emphasis is on the quality of water delivered to students, as well as access and level of contaminants. Because voluntary hydration is a common phenomenon in school-age children that negatively impacts cognitive functions, WELL also focuses on proactive hydration promotion. Certification doesn't require a whole building filtration system; its performance tested on-site, with water samples collected by a third-party. “As we saw with Flint, this is an absolutely critical issue, since a lot of the contaminants are unregulated,” Quintana said. We all know childhood obesity is on the rise...but did you know that obesogenic environments can play a role in this dangerous trend? Because obesogenic environments promote high-calorie and high-energy intake along with sedentary behavior, WELL’s focus is on making healthier choices more convenient. This includes working with the food service team to enforce appropriate portions, providing wholesome options, specifying local and seasonal produce when possible, and limiting the presence of unhealthy ingredients. “It’s about empowering kids to make healthier choices, rather than completely banning all unhealthy choices,” Quintana said. According to Quintana, light can almost be viewed as medicine in some ways. “Light is one of the main drivers of the circadian system, which starts in the brain and regulates physiological rhythms throughout the body's tissues and organs. Circadian rhythms are kept in sync by various cues, including light, which the body responds to,” she explained. With WELL, the goal is to optimize daylight to emulate the natural sleep-wake cycle. Electric glare control is also top-of-mind--with so many students on laptops, WELL works to safely and comfortably transition from all the screens. Eighty-one percent of adolescents don’t get the recommended 60 minutes of exercise a day, despite the fact that regular physical activity improves mental well-being, attention spans, and ability to learn. “As a society, we were all dying from infectious diseases in the 1900s. Now, we are dying from heart disease, cancers, and non-infectious disease. WELL advocates creating a culture of health and as much as physical activity as possible,” Quintana said. This includes enacting activity incentive programs, supporting recreation facilities, and designing spaces that get people to move more often; for example, creating wide, inviting, and aesthetically pleasing staircases. Because children (especially those under 13) have an undeveloped sense of hearing, the impact of background noise on learning and hearing is profound. Students who already suffer from attention deficits are even more adversely affected by poor acoustic conditions than the average student. “Certain sound-absorbing materials have caused concern because of chemical sensitivities and the impact to indoor air quality, but luckily the market has responded with a growing number of safer materials and strategies that can be properly specified and maintained over time,” Quintana said. WELL focuses on budget-friendly acoustic solutions and conscious planning for comfortable environments; for example, making sure noisy equipment and elevators are spaced at a fair distance from concentration zones or classrooms. WELL also takes a proactive approach to establish thermal comfort and olfactory comfort (for instance, distancing cafeterias or laboratories from classrooms). The comfort concept also includes accessibility; WELL certified schools are ADA-compliant. Because the lives of students today are much more structured and supervised than previous generations, children have far fewer opportunities to interact with the great outdoors. While nature-based childhood used to be the norm, kids today are at risk of developing biophobic views if their natural attraction to nature isn’t given opportunities to flourish in their early years. This disconnect can lead to discomfort and fear in natural places and even contempt for whatever is not man-made or air-conditioned, and the dangerous view that nature is nothing more than a disposable resource. All in all, Quintana compared WELL to a nutrition label for buildings that show the ingredients that go into a healthy school. Because certification is valid for three years, WELL encourages engagement and accountability to ensure districts are delivering on the commitment..
Because an integrative design process is emphasized in WELL, Quintana believes that bringing the community together is a byproduct of the journey toward certification.